One of the most remarkable things is that all events have the same date and time. See the results of the Petri net discovery plug-ins performed for the next question in the figures below. The expected results are shown in the figures below. 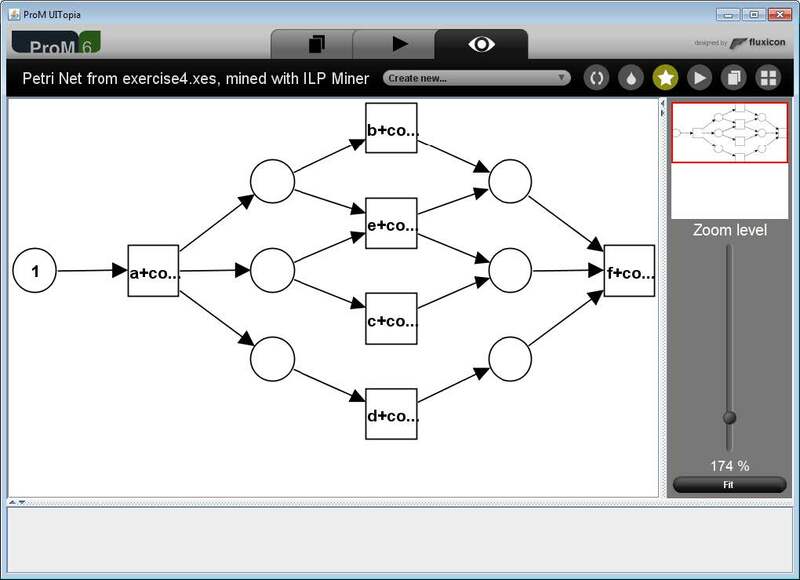 The resulting Petri nets of the alpha-algorithm and the ILP Miner are the same. The one converted from the Transition System Miner result is different however. The reason for this is that the alpha-algorithm and the ILP Miner only allow for each event to be present only once. 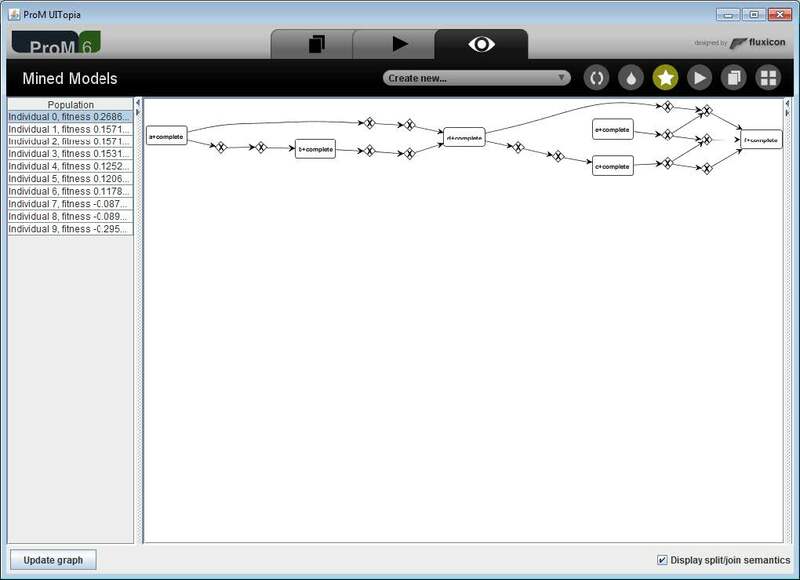 In the transition system events are present multiple times. 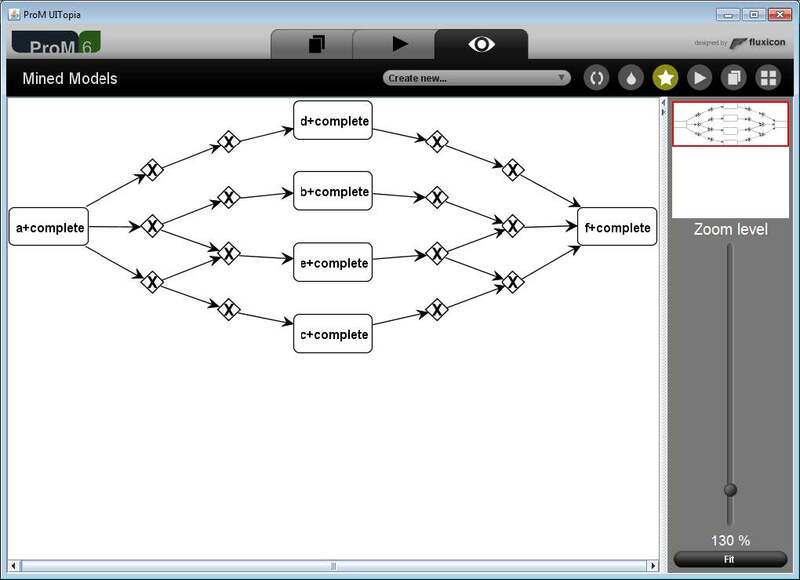 During the conversion of the transition system to a Petri net not all events are merged, therefore the resulting Petri net looks different but describes exactly the same behavior. The result of the Heuristics Miner, as shown in the figure below, is not a Petri net. 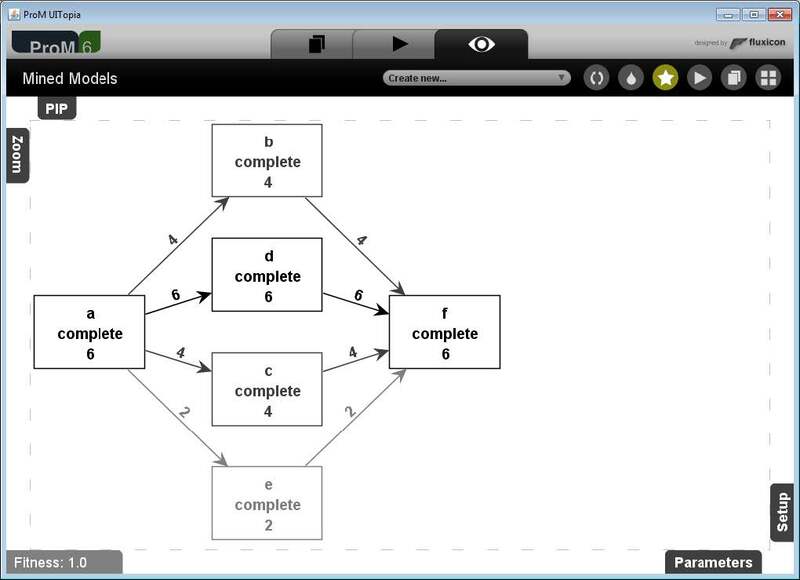 The net only indicates direct relationships without specifying the split and join semantics. 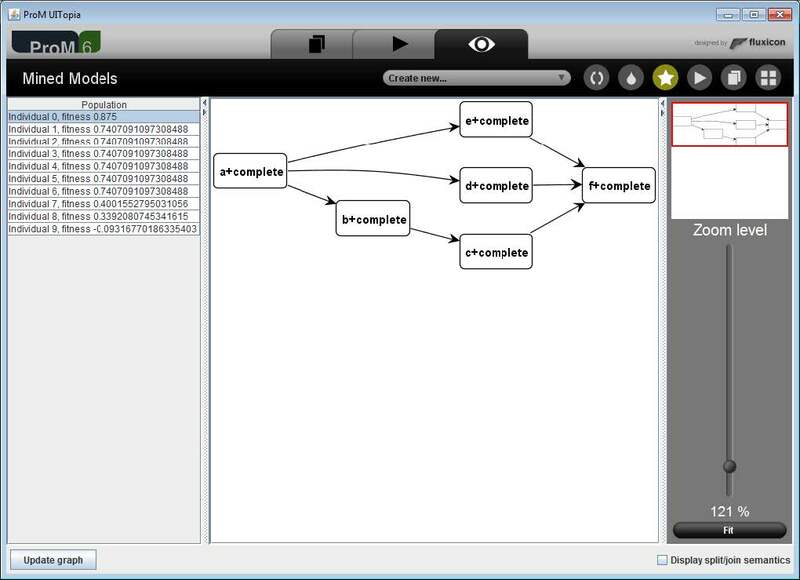 To visualize the Heuristics net from the previous action with the split and join semantics we need to select the visualization option as shown in the tope figure below. 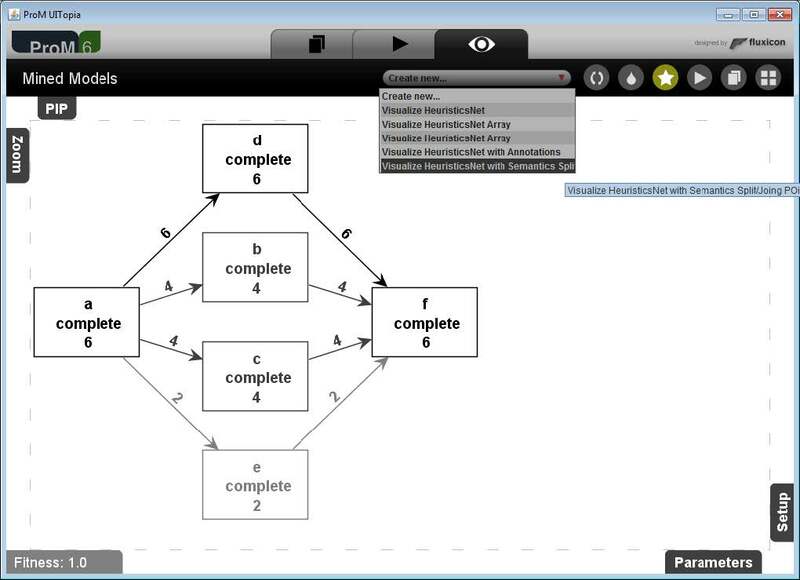 The resulting net then shows the split and join semantics, as shown in the bottom figure below. 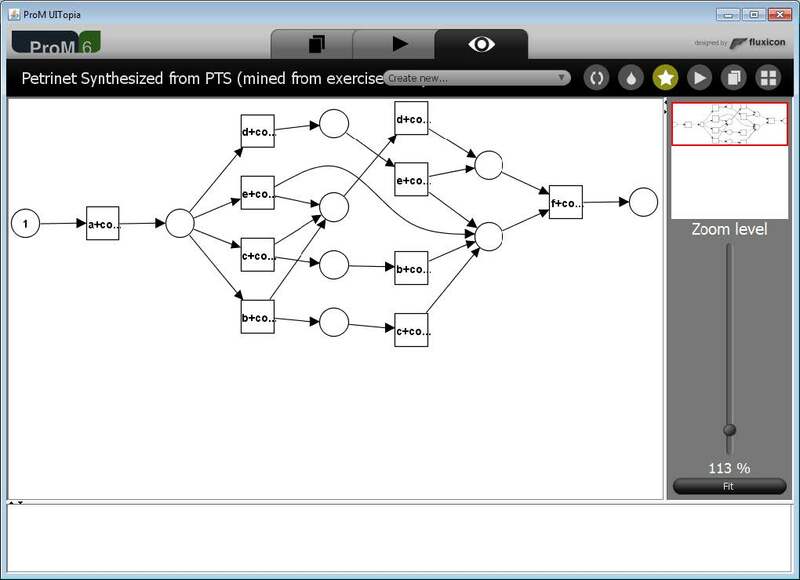 The resulting net is essentially the same as the Petri nets that resulted from the alpha-algorithm and the ILP Miner. 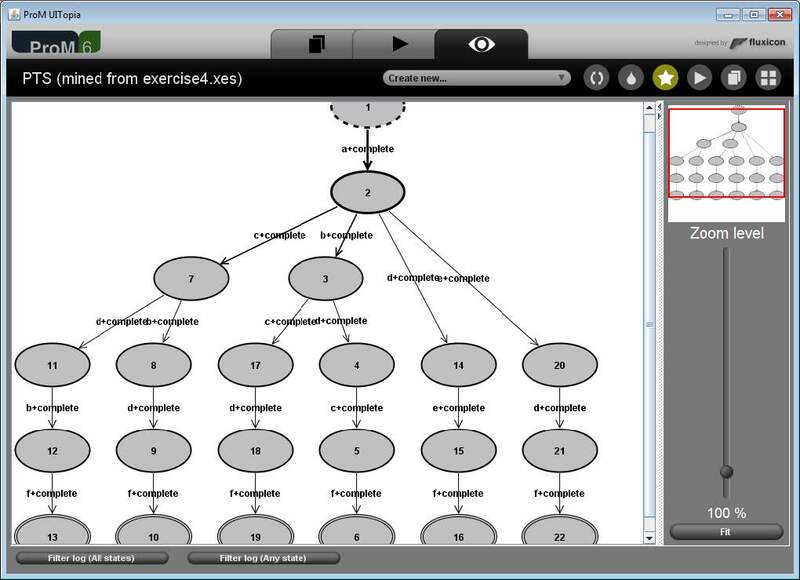 In the top figure below the result with the default settings for the Genetic Miner is shown. We increased the number of iterations from 2 to 200 to get a model with a fitness of 0.875. In the bottom figure below the resulting model is shown.